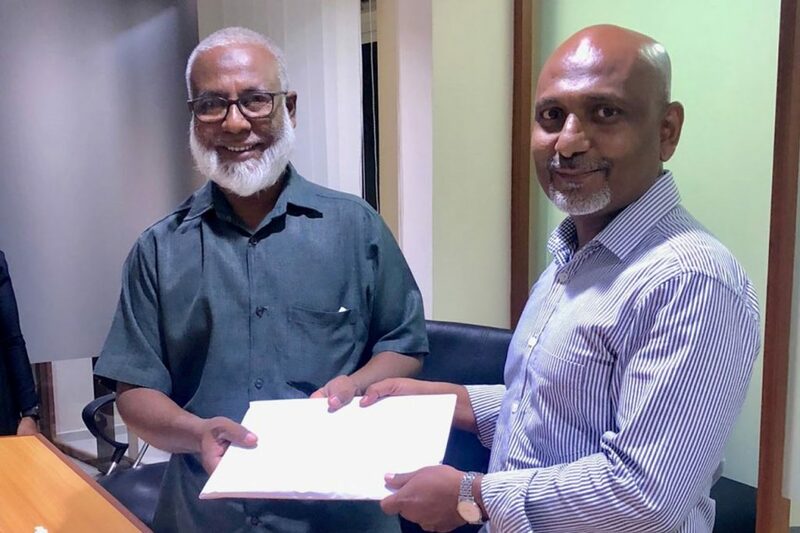 On Saturday, 19th January 2019, the construction agreement to build a 6-storey house at the plot belonging to Dr. Mohamed Asim at G. Vaijeheyge Aage was signed by the owner and HaZa. 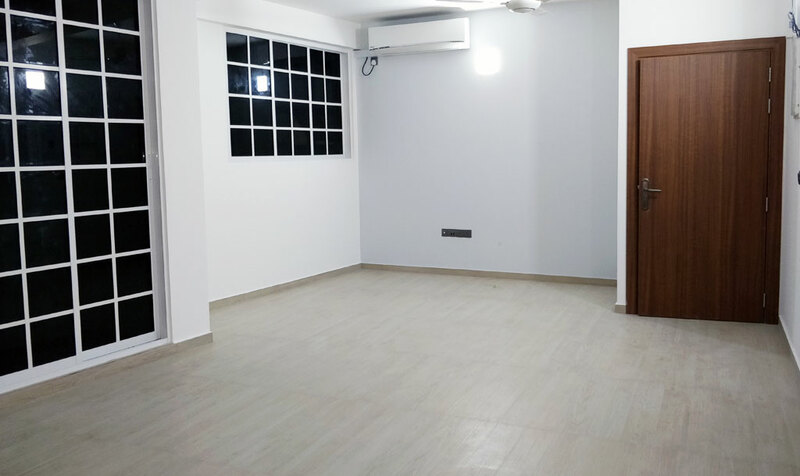 The clients went through a very thorough process of interacting with HaZa to gain full confidence that their home construction is in capable and right hands. 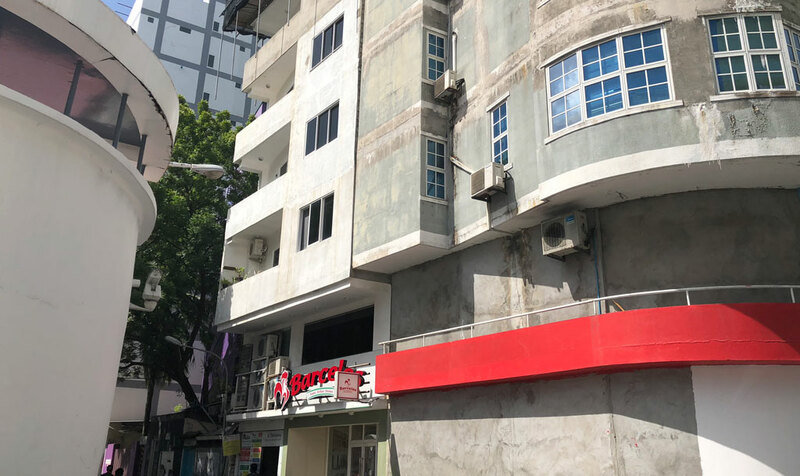 G. Vaijeheyge Aage is located in the vicinity of Athamaa Palace. 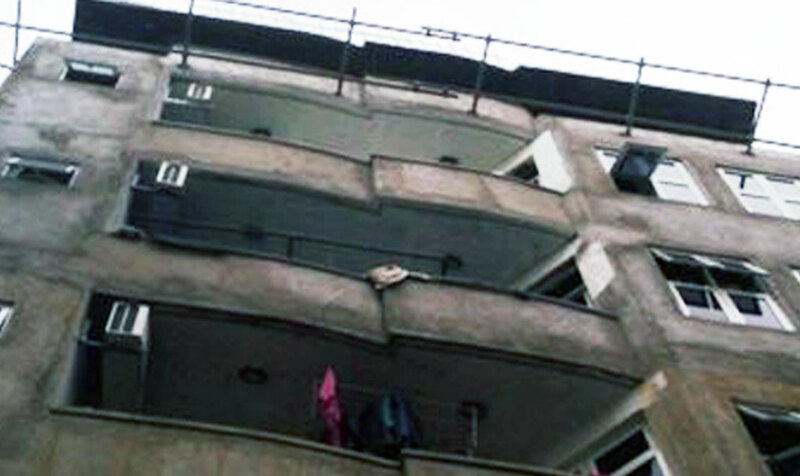 The building will consist of two-bedroom and three-bedroom duplex apartments. 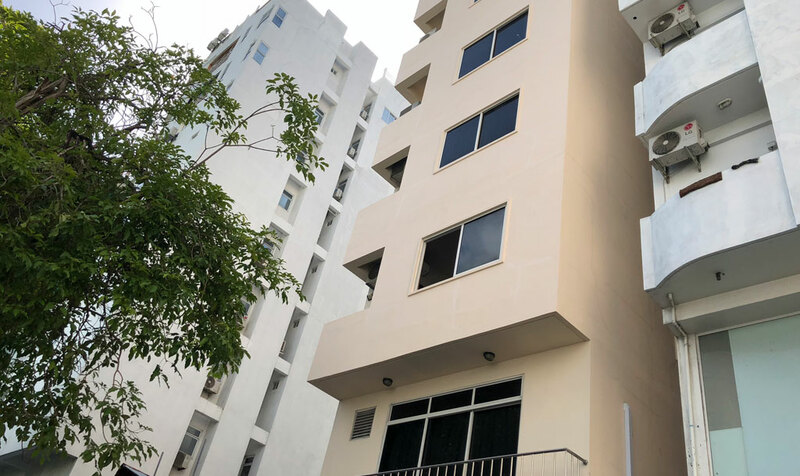 The first and second floor each occupies two-bedroom apartments, designed for optimum space utilization and convenient accessibility and usage. 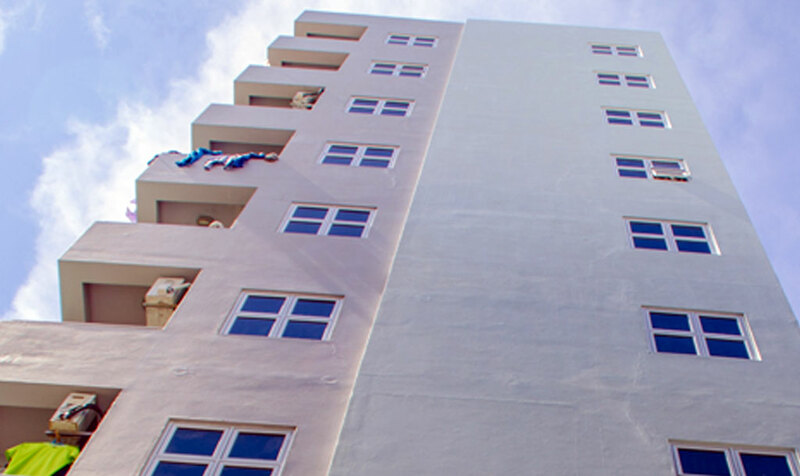 The third floor up to the sixth floor hosts three-bedroom duplex apartments, each occupying two floors to provide spacious, grand and comfortable living space. The ground floor will be utilized for commercial purposes. The discussions and initial planning phases were extensive and methodical as HaZa believes in full client involvement and satisfaction; HaZa doesn’t view residential construction as just another project, but as momentous work to fulfil the dreams of house owners and their families by building their dreams and making it a reality. 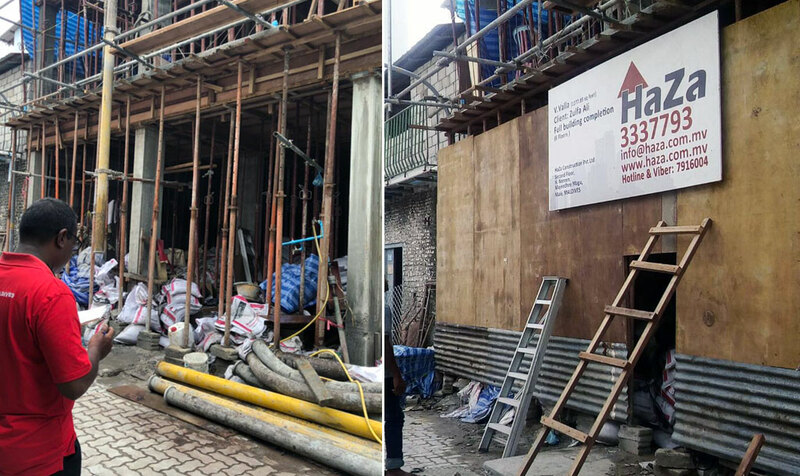 The same unique and individual attention is paid by HaZa to each and every single residential construction project HaZa engages in. 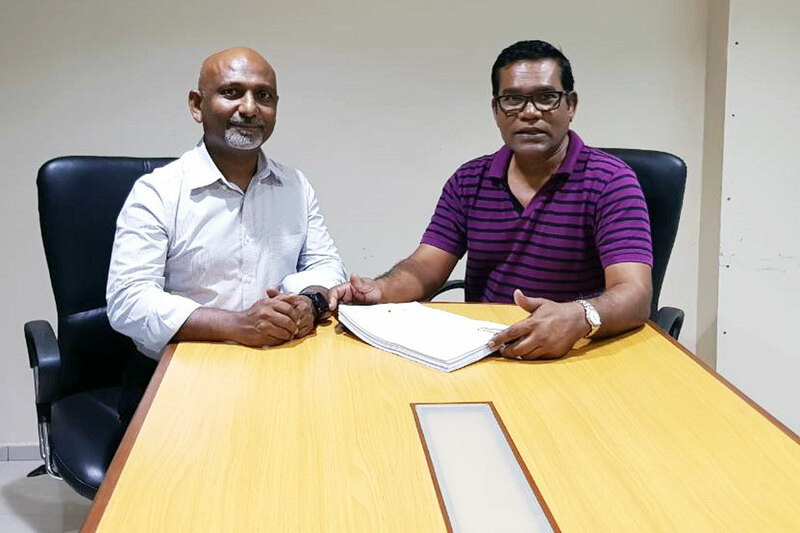 On Thursday, 18th October 2018, HaZa Construction and the family of the owners of H.Aaroshan signed the construction agreement to build their ten storey home. 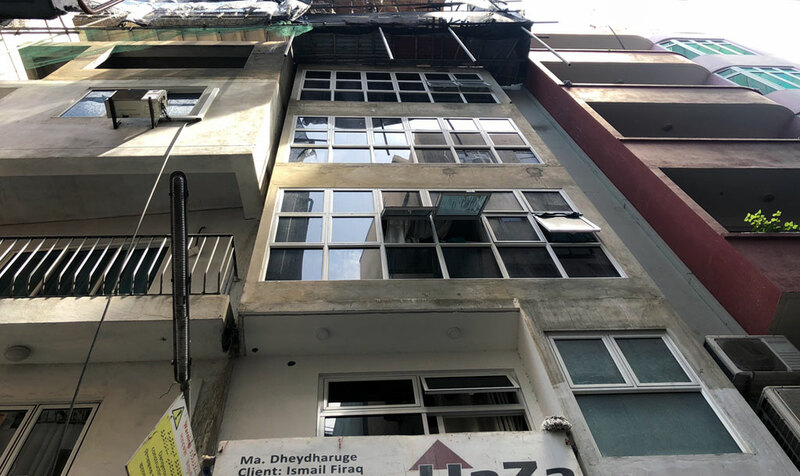 The clients went through a very thorough process of interacting with HaZa and learning to ensure their construction project was in safe and trusted hands. 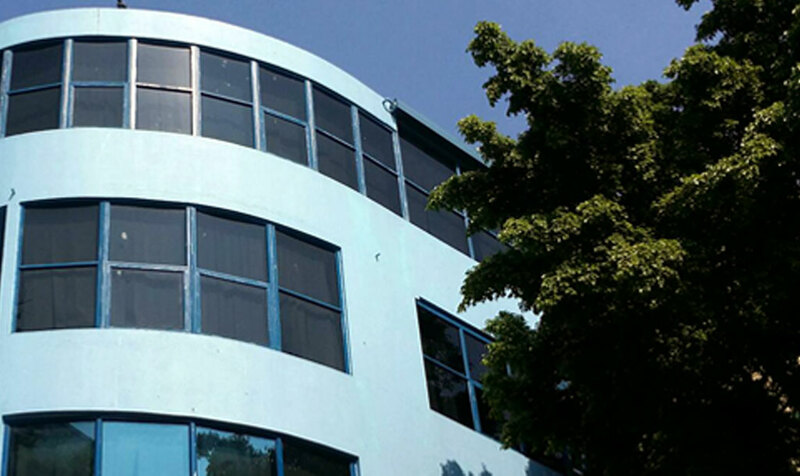 H. Aaroshan is located near Nasandhura Palace Hotel. 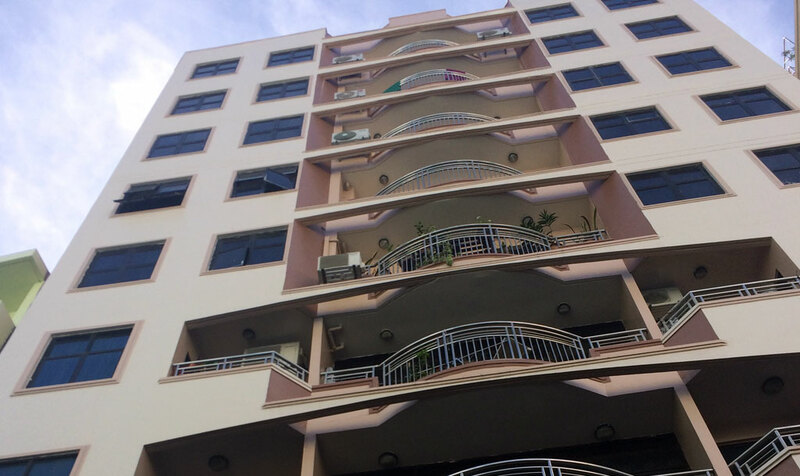 The building is designed with two units of two-bedroom apartments on each floor, from first to tenth floor, and the ground floor is to have a commercial space along with a two bedroom apartment. HaZa had extensive discussions with the clients to ensure they were comfortable with how the final partnership is formulated. In every project HaZa engages in, we look for the satisfaction of customers as our ultimate goal. As works for the 9th floor slab is completed at Ma. 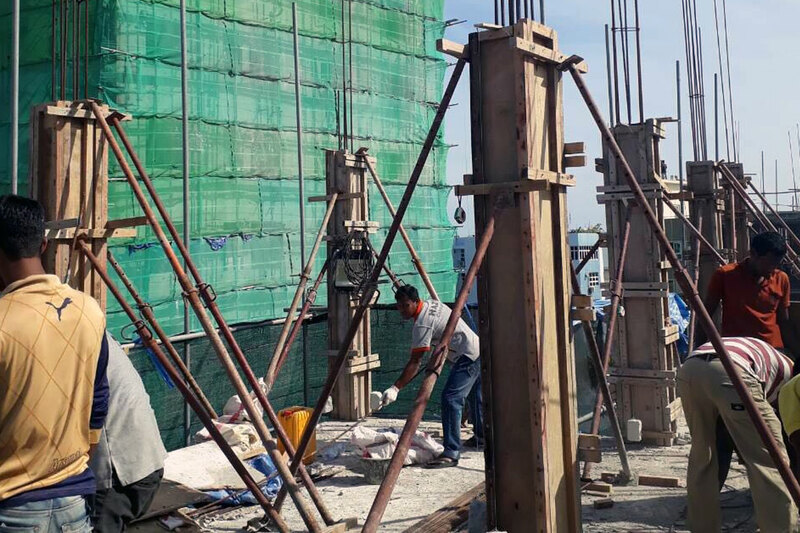 Dheydharuge and efforts for 10th floor slab continue, the project Work Schedule continues to be matched by the hard working labour force of HaZa Construction at the project site. 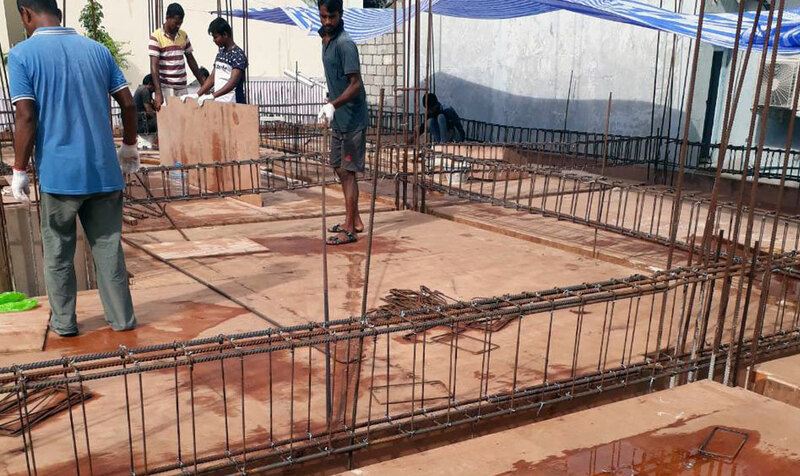 With shuttering work ongoing, anytime now the concrete for columns will be complete as well and then it is time for the final slab! 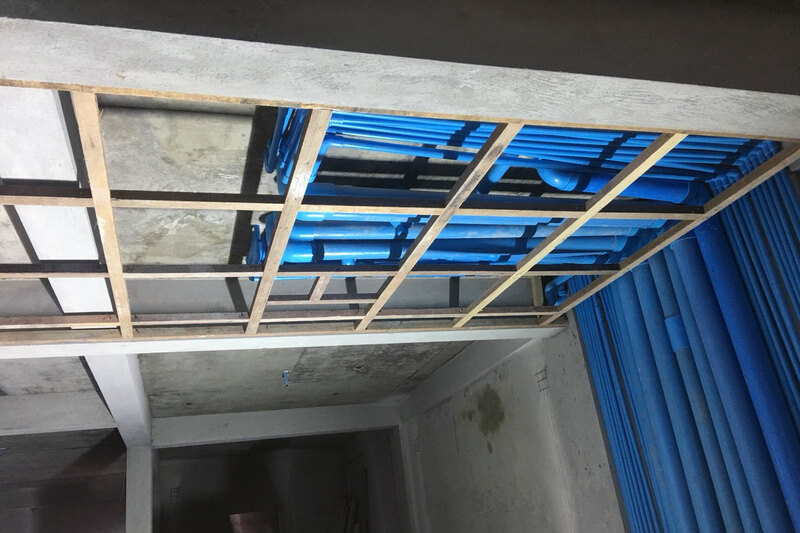 Concurrently, after all works are completed in the 5th floor, including the fabrication of the kitchen cupboards, our finishing teams are headed to the 6th floor for screeding and tiling. 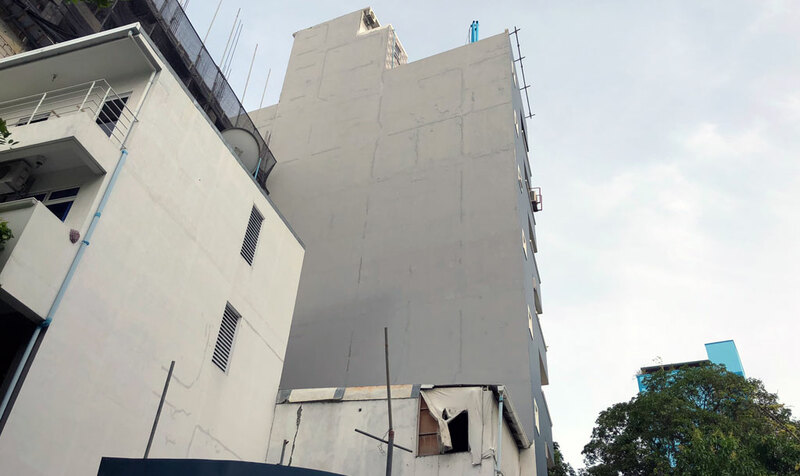 All other finishing works will be carried out as efficiently as Haza construction strives to stay up to date and on time for any project, to ensure our client suffers no unnecessary overheads. M. Cottage: A new partnership is formed! 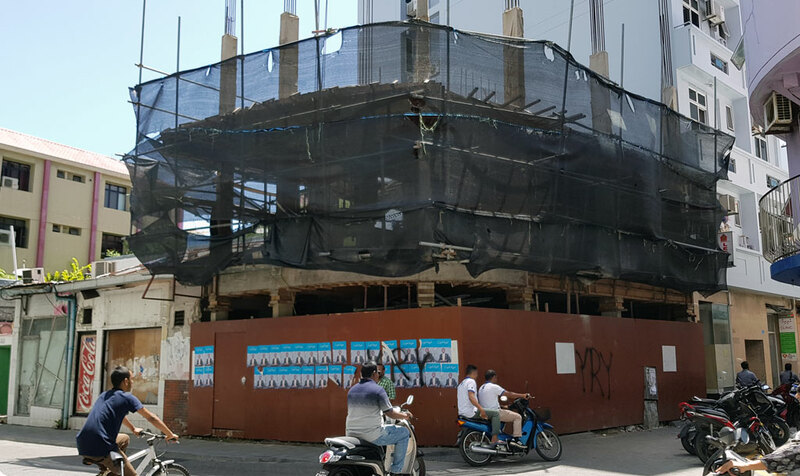 September starts with the developers of M. Cottage and Haza Construction coming into partnership for the construction of a 10 storey semi luxury building. Haza and the clients for this project have been working very closely and openly to have this partnership established. 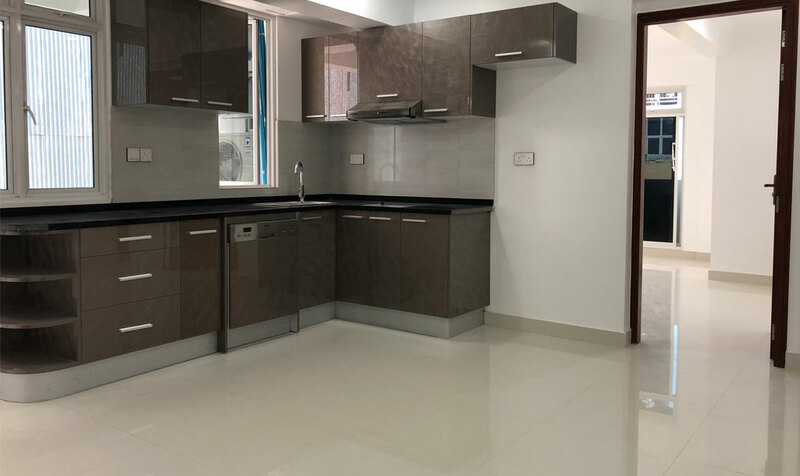 The clients have expressed which aspects of Haza made Haza their choice and why they trust Haza to have this project done for them. 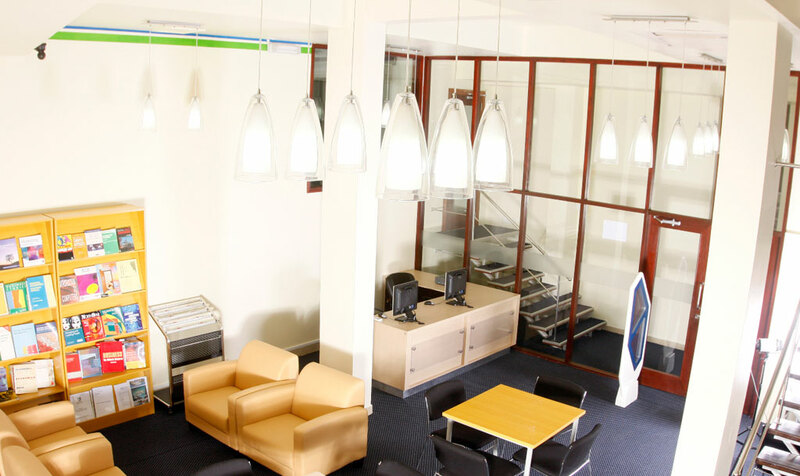 We value all feedback and the trust that our clients have always bestowed upon our company. 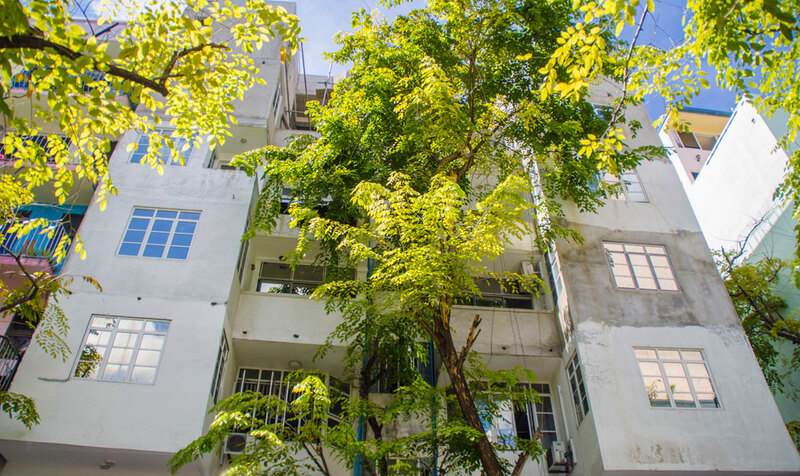 M. Cottage located close to IGMH on Kanba Aisa Rani Higun, oversees one of the busiest roads of Male’ city. The proposed plans include retail space at the ground floor, office space sand semi luxury 2 room apartments. Each project is a new customized partnership. 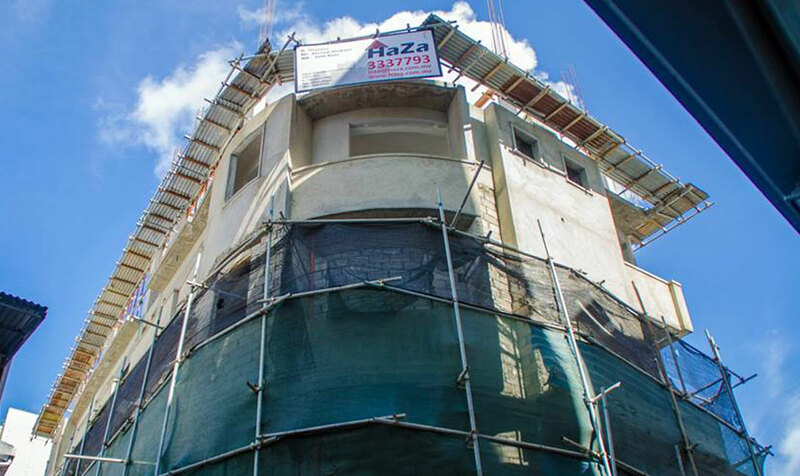 Haza Construction is one of the first construction companies in the Maldives that has successfully implemented a full customer oriented work structure. With deadline day fast approaching, work at ground floor Ma. Vinafehi has picked up and is moving at high speed. 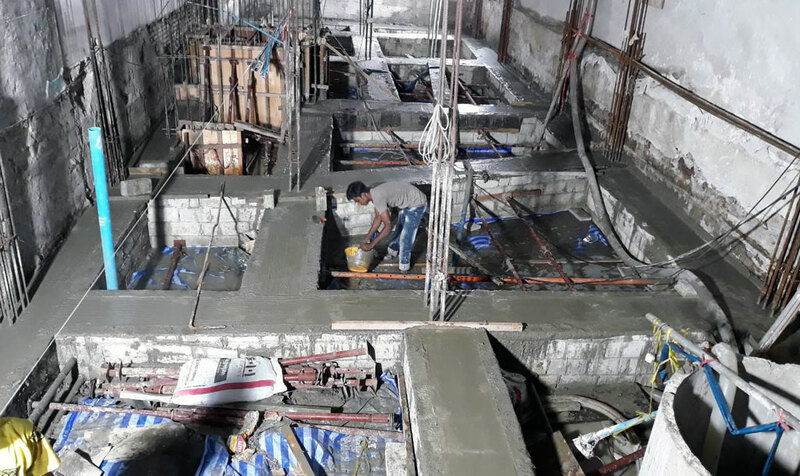 Specialized HAZA teams had been simultaneously working on carpentry work, electrical and and tiling inside the building while the ramp area concrete screeding is laid, paving a perfect entrance to the main door and connecting to the stairway. Final finishing is underway now as the teams prepare to receive the entrance door and pass on to the clients for their inspection and ultimate benefit from the ground floor. 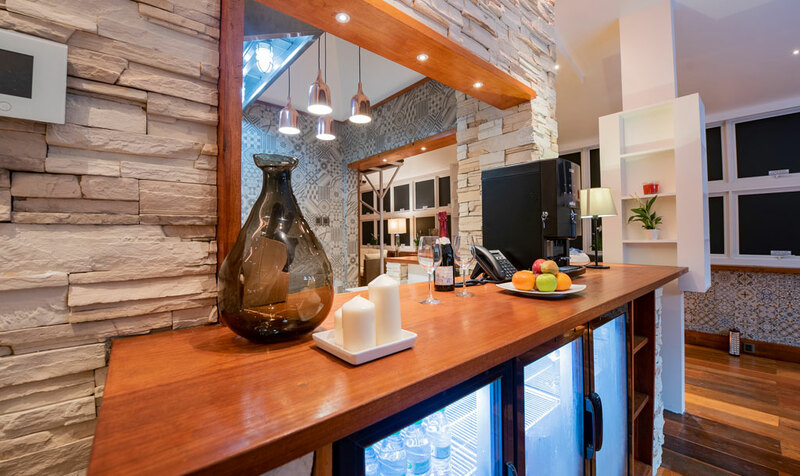 HAZA Construction positions it’s self in the market as a dynamic construction company that can adjust and adapt to any change required by the clients. The culture developed in our team strives to achieve everything impossible. 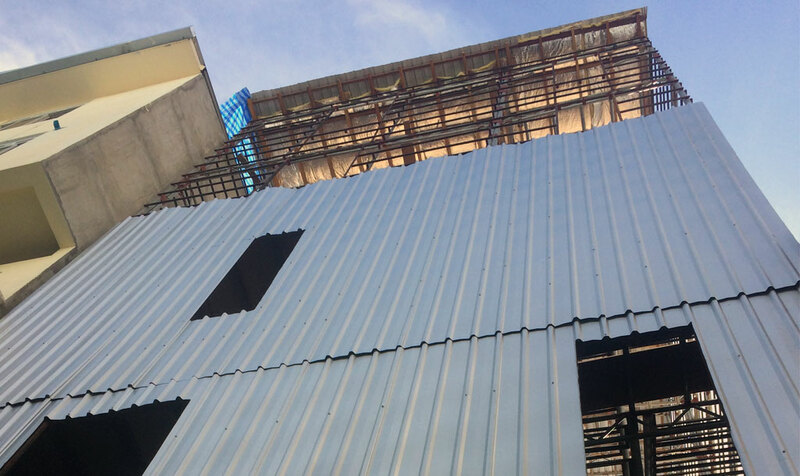 With 100% of concrete done on H. Thinnoonu terrace parapet wall, work is going smoothly for a great finish. 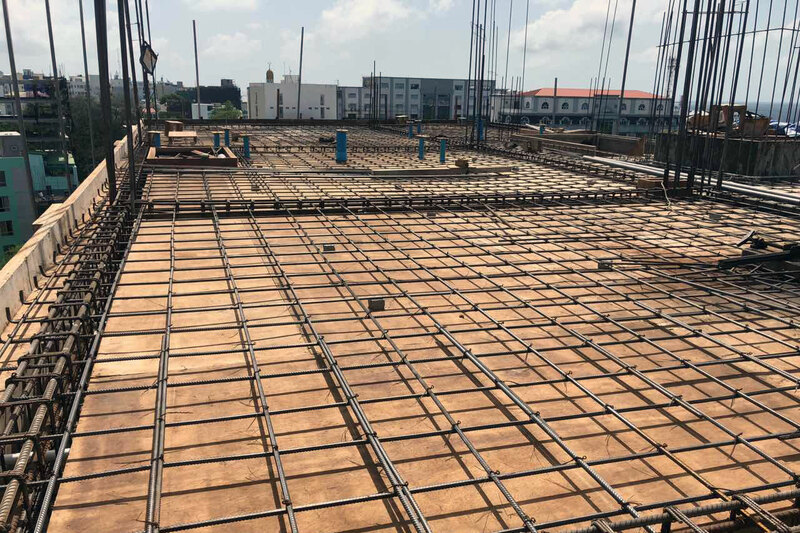 With our experienced teams on the job carefully mending the steel rods and providing the perfect and safe reinforcement, it all looks absolutely great. Work is certainly on schedule and looks like it will stay the same. HAZA Construction pre-anticipates every aspect in the construction industry along with other internal and external factors, to deliver on time and as effectively as possible. 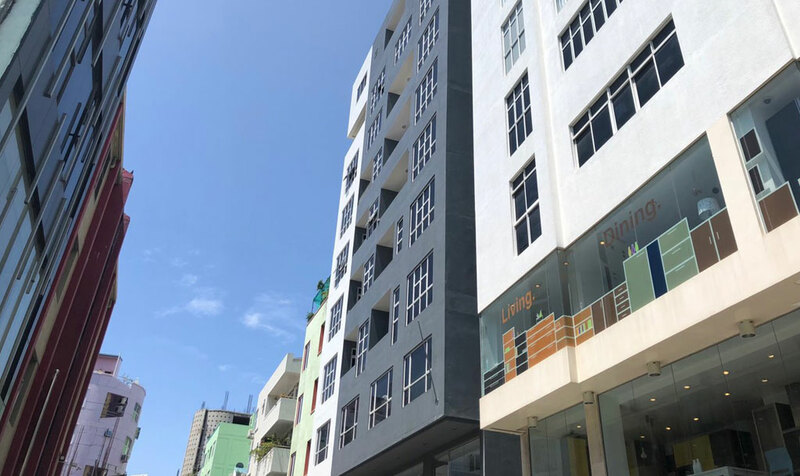 July 2018 HaZa Construction has completed the exterior and interior works for Amina Residency at H. Feyrugashoshuge. 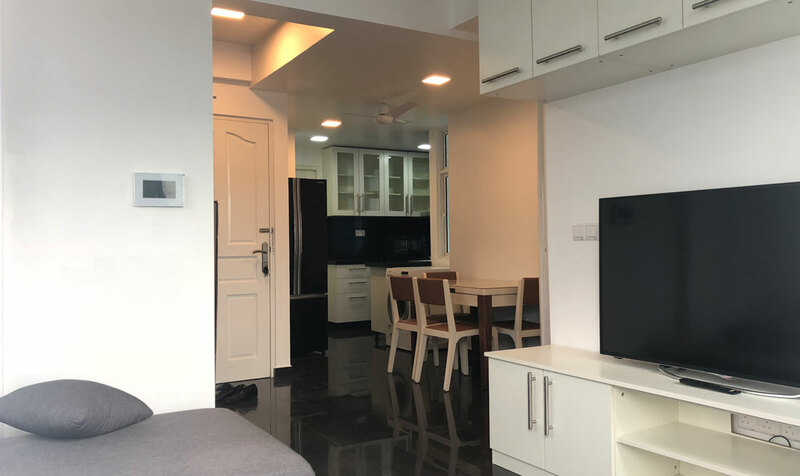 This is a major renovation of exterior and interior with very major interior design changes and finishing, to provide high class accommodation and relaxation. 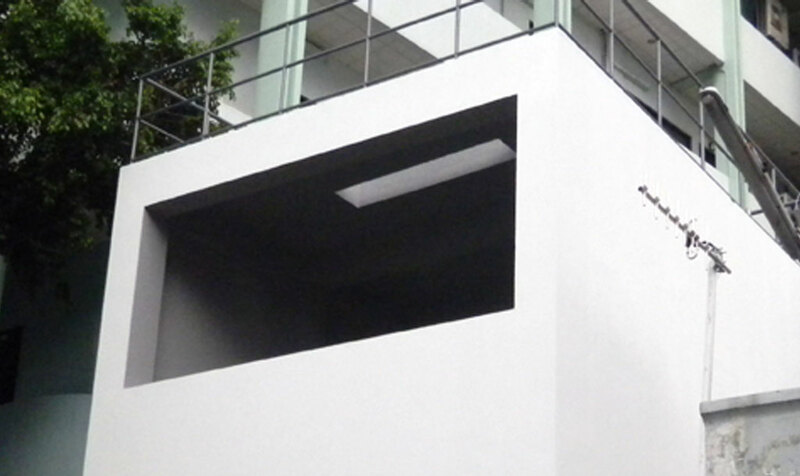 Final touch-ups are now ongoing before the Residency is opened. It was a difficult but an extremely rewarding piece of work that HaZa is very proud of. 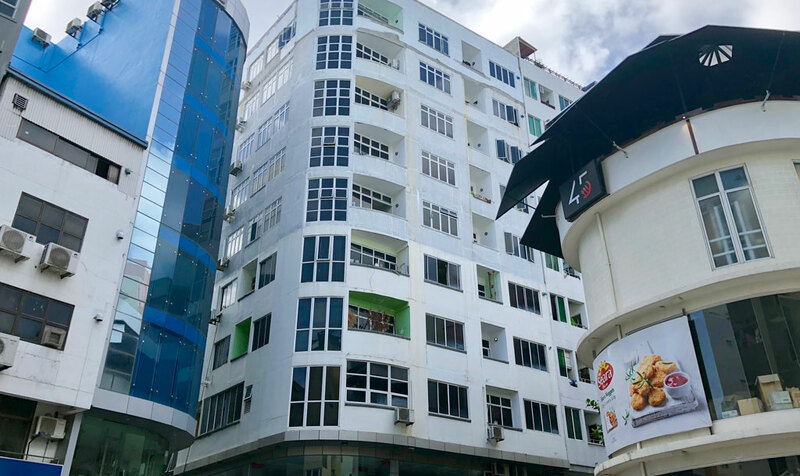 HAZA has laid the final concrete slab, for the terrace, of the 10 storey building at H. Thinnoonu on 24 July 2018. 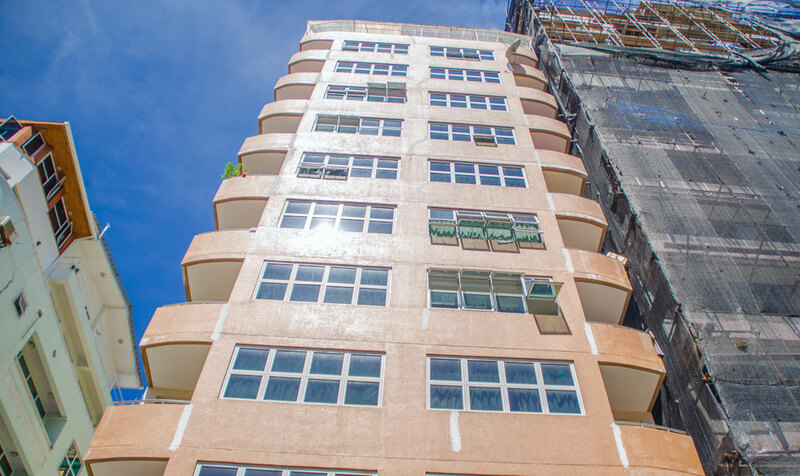 This project is now completing all its concrete works while floors up to fifth floor have been completed with finishing works as well. The Project will be moving into its last phase within this month. Project is expected to complete before end of this year. 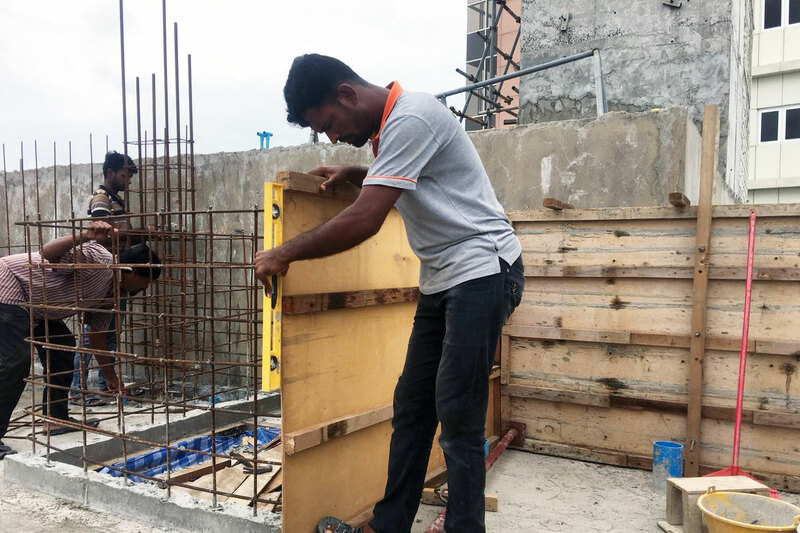 The 2nd concrete slab of V. Valla, a project in Villimale’, was casted on 13 June 2018. 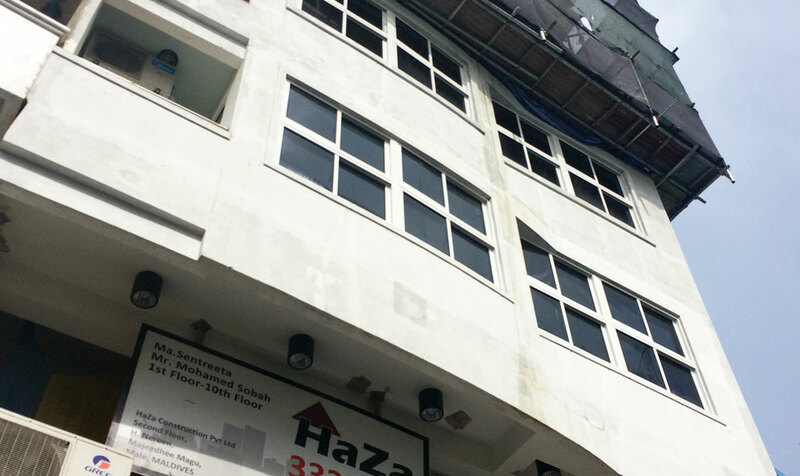 V. Valla is one of the recent project’s of HAZA and it is also HAZA’s first full complete project in Villimale’. This milestone event is a remarkable achievement for HAZA and a monumental moment. 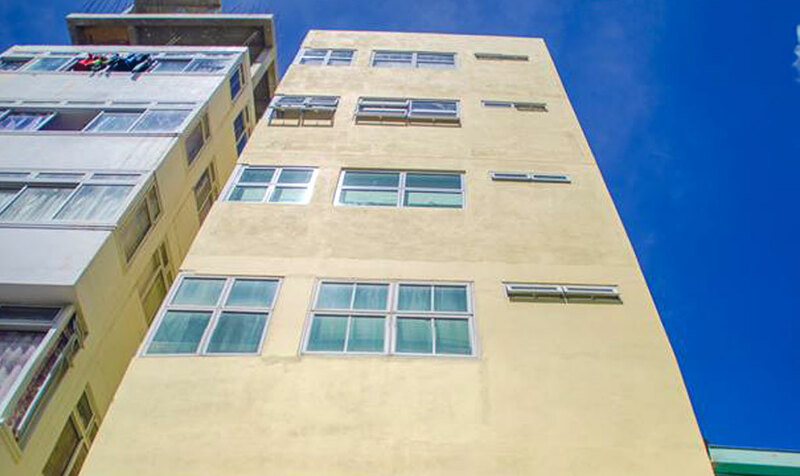 V. Valla is approximately 1,277.85 square feet with a 6 story plus terrace building planned to be constructed. The project is planned to be implemented in three phases. HAZA signs an agreement to install Spain’s No. 1 and Europe’s Top 10 Lift, Orona, for all its projects! 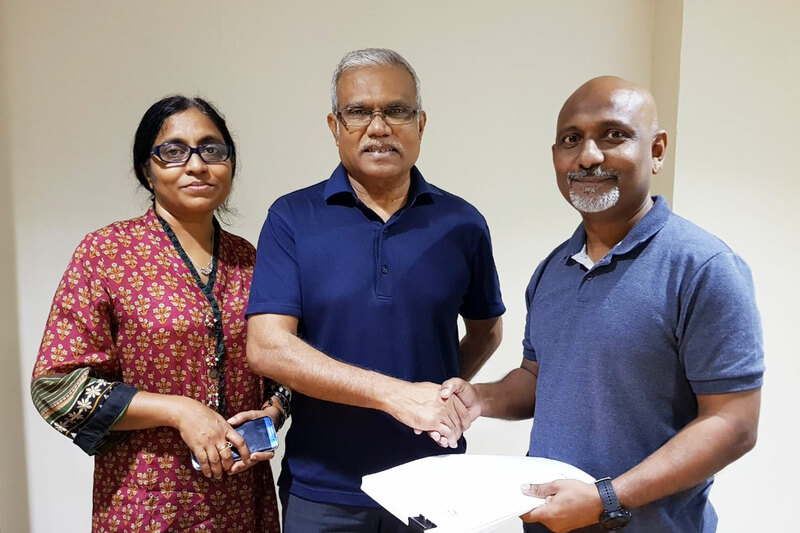 HaZa, in its efforts to find the most secure, reliable, affordable and aesthetically pleasant elevators for its clients, has joined hands with Ascensor Pvt Ltd as partners to supply and install elevators for projects of HaZa. Ascensor, is a tie-up company with the very established European elevator company Orona Group. 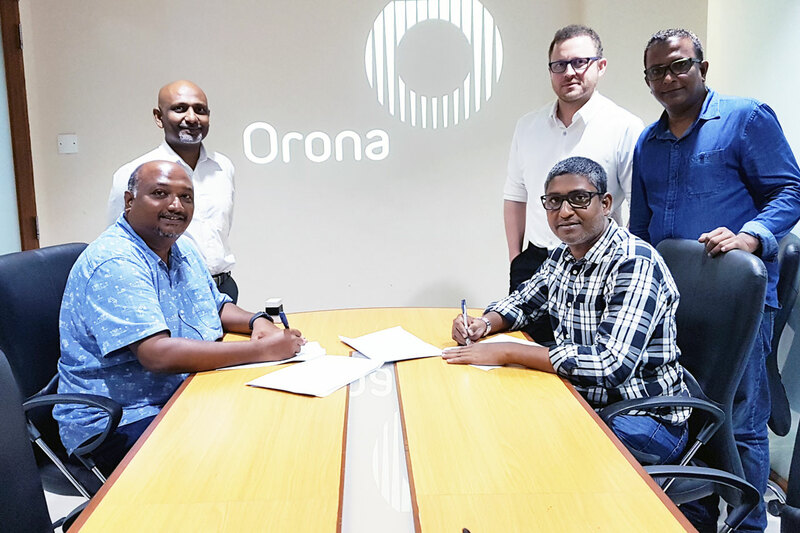 Orona is among the top 10 elevator brands in Europe and the number 1 brand for elevators in Spain, where all Orona lifts are manufactured and assembled. We are delighted to have Ascensor as the elevator-partner for our projects. 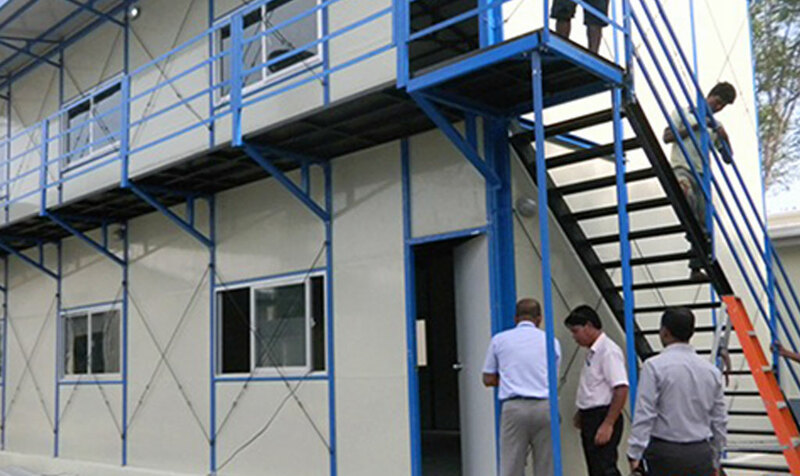 HaZa will be working with Ascensor to provide Orona lifts / elevators for buildings that HaZa is working on and for others as well. We are excited to work with them in providing the exact elevators/lifts that the customers want.